MK Eichler speaks of the greatness of Torah leader Rabbi Shteinman, the value of respecting elders. 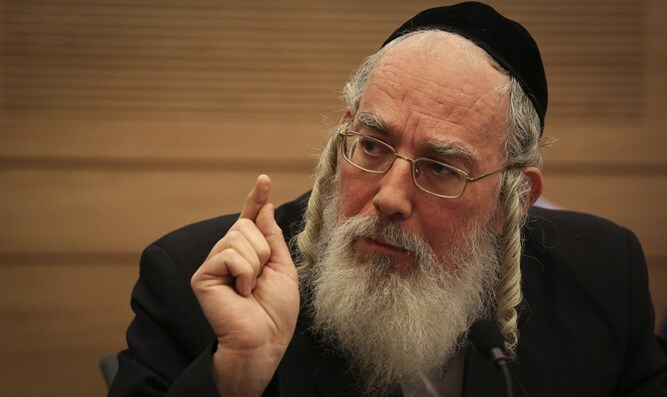 Against the backdrop of Rabbi Shteinman's hospitalization, MK Yisrael Eichler (United Torah Judaism) delivered a moving speech at the Knesset plenum Wednesday, lauding the senior haredi rabbi and touting the haredi community's reverence for elders. "The entire nation of Israel follows with concern the situation of Our Master the yeshiva dean, Rabbi Aharon Yehuda Leib Shteinman, son of Gittel, may he see a complete recovery. He is an ancient tree of life that has studied Torah for more than 100 consecutive years. "Rabbi Aharon Leib Shteinman is one of the few pillars on which the world rests. In recent years the pillars of the world are loosening because people of faith are being lost. It is not every day one meets a Jew who has been studying Torah for a hundred years. His holiness and Torah serve as a barrier between us and our enemies outside. We are all full of prayer that G-d will send him a complete recovery, for him and for all of Israel,” he said.